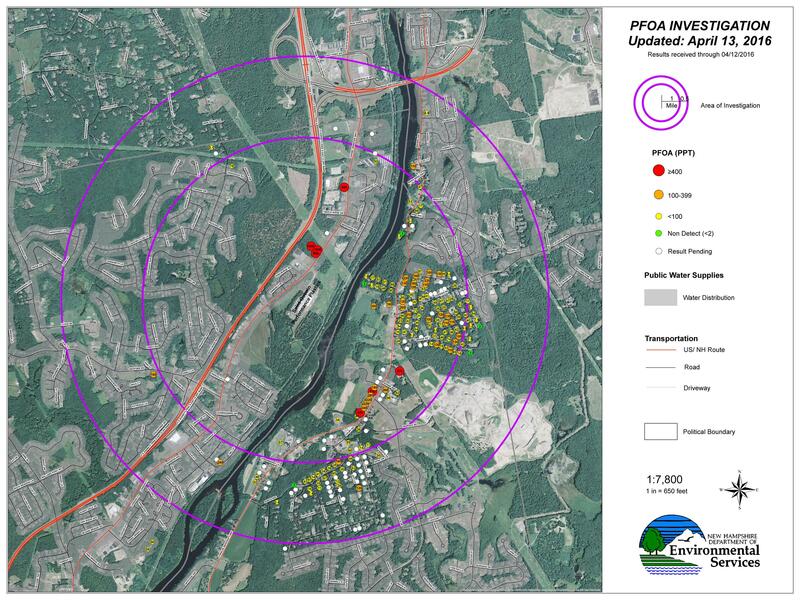 NH Department of Environmental Services will expand their testing radius for PFOA, a contaminant found in drinking water near the Saint-Gobain Performance Plastics plant in Merrimack. The Department is now testing all drinking-water wells within a mile and a half radius of the plant: that’s a half-mile more than the department had been testing. The expanded radius includes Londonderry and Manchester, in addition to Merrimack, Bedford, and Litchfield. Saint-Gobain is already paying for free bottled water for residents with PFOA concentrations above 100 parts per trillion, as well as for those within a one-mile radius of the plant.